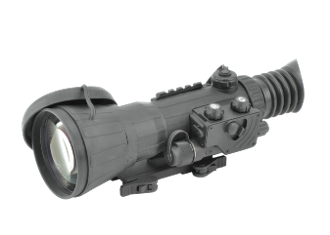 The ARMASIGHT Nemesis 6x GEN 2+ ID Night vision rifle scope puts a little more distance between you and your target. The Gen 2+ ID "Improved Definition" image intensifier provides greater clarity over standard Gen 2+ image intensifiers. The adjustable brightness illuminated reticle in the ARMASIGHT Nemesis 6x GEN 2+ ID Night vision rifle scope is well defined for precise shot placement.